Fuel up and warp out in Lightspeed Frontier, an exciting space exploration game that places shipbuilding directly into the hands of the players. Make your way through hundreds of star systems as you fight to a find a successful life. Enemies are generated immediately after you leave a station. They will follow you across the solar system, but if you're having trouble, you may warp away. The AI isn't intelligent, and players shall quickly learn how to outmaneuver NPC tactics. 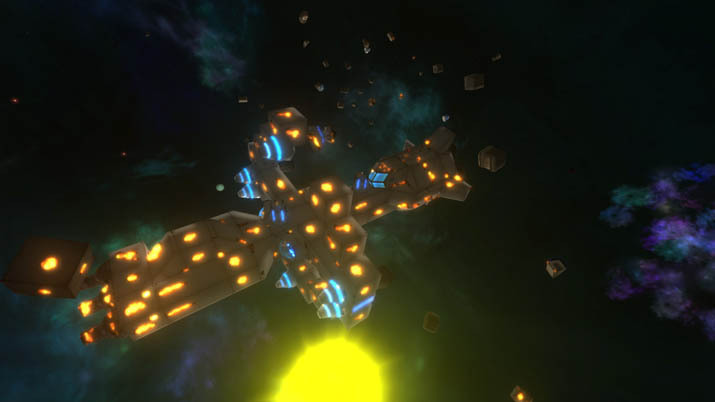 You are required to manage your ship's energy levels along with its defenses and weaponry. Thrusters use battery power in addition to fuel. Your weapons and shields come from the same battery, so you must conserve your resources or find yourself without enough energy to defeat the rogue vessels. Players obtain money by collecting parts of wrecked ships, amassing gas, and playing the stock market. It takes awhile to discover how the game operates. You may spend hours fiddling with your ship, and shall likely go through five to six ships before you settle on a preferred model. When your ship is destroyed, you're transported back to the closest station (so far, there's been a station in every star system), and lose all the money you're currently holding. The only way to save your money after you're vanquished is by investing in the corporate stock system with the starter cash you're given when you respawn. The stocks may rise and fall at random intervals. Buying stocks at a low price and then selling it for a greater amount will quickly earn you a fortune. Sadly, there's simply not enough variety to the NPC's tactics. Once engaged, NPCs float around and immediately start shooting at you. The difficulty of the enemy shall be determined based off of the ship you are currently flying. 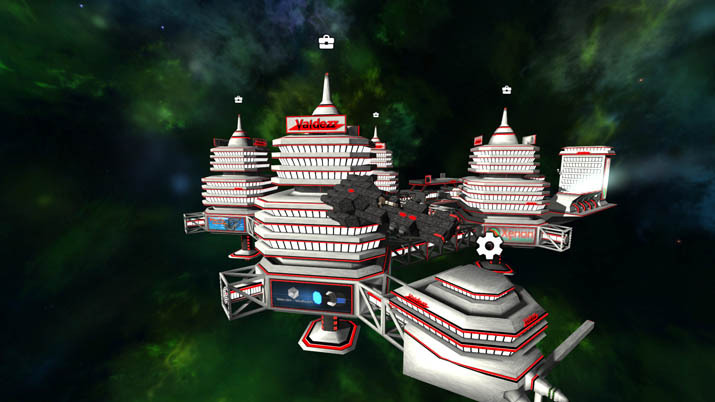 Larger ships shall spawn enormous NPCs, while smaller ships spawn miniature drones. It's worthwhile to specialize your ship, but having contingency plans prevents excessive losses; it seems the second you create a well-crafted, specialized ship, the game deploys an NPC. The game prides itself on being able to affect your environment directly. To a degree, I can see this, since all the modules are replaceable and can be knocked off or destroyed in combat. However, there is no indication that the actions taken actually have any ramifications within the galaxy. Gameplay is mostly spent building your ships and destroying others. Shipbuilding is fascinating most of the time but may become tremendously tedious if you're trying to redesign parts of your ship. The drag and drop system is clunky. If you're in need of an improvement, you must remove each blocking layer. The building system is excellent, and once you get the hang of the quirks (and minor bugs), it will keep you engaged in new ways. Further development could address the shortcomings of these features, but, as-is, Lightspeed Frontier barely offers any actual gameplay. Lightspeed Frontier is a noteworthy game but needs additional content to remain fresh. As it stands, if you enjoy space exploration games you will certainly have a wonderful time.